William Dunlop and MSS Colchester Kawasaki enjoyed a successful first outing at Cartagena in Spain this week, as they continue their preparations for the ‘Roads’ and selected National Superstock rounds. 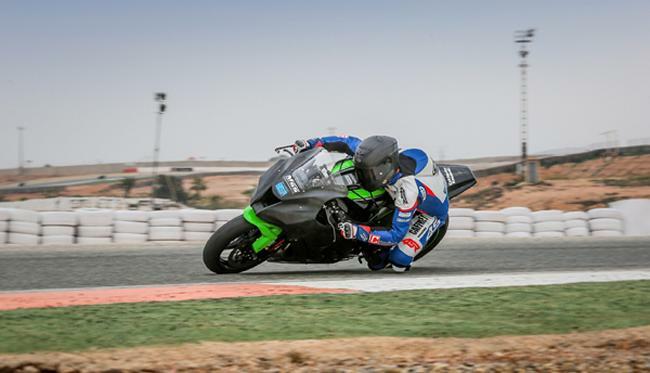 The experienced Northern Irish rider worked through a number of engine, chassis and tyre evaluations on the all new Kawasaki Ninja ZX-10R over 130 laps at the circuit. Most impressively Dunlop logged his fastest ever time round the track, despite the bike being at the very start of its development cycle and cool track temperatures. Also present at the test was tyre company Metzeler who support the rider and team in their Roads efforts. Metzeler Racing Manager Jason Griffiths was in attendance bringing tyres and helping to analyse edge grip, feel and durability with the team. 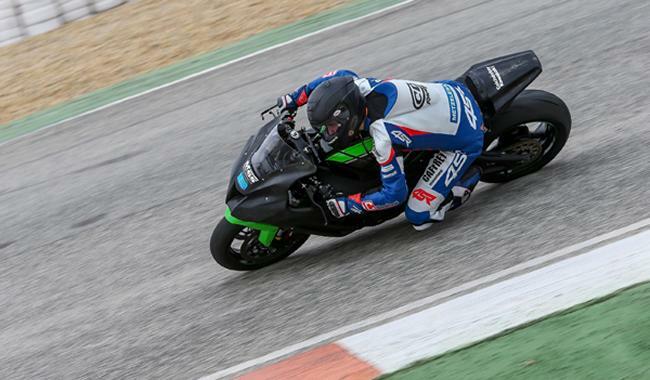 As part of MSS’s Team Green technical support, the bike was also tested in standard trim giving valuable data for Team Green and Kawasaki Motors UK. William will be riding the Superstock Kawasaki at the Isle of Man TT Races fuelled by Monster Energy, North West 200 and the Ulster GP along with Irish National road races. He will also be campaigning in selected National Superstock races at the MCE British Superbike Championship to work on his race pace. “Nick and Jeb have so much experience on what makes the bike work that they made the job easy and enjoyable for me. As everyone knows if you’re enjoying riding you go fast. It’s quite funny as that was the first time I’d actually properly met Nick!